Finding the next big property market is the holy grail of real estate investment and while it does take time to uncover potential gems of the future, there are ways and means of spotting potentially undervalued property markets. We will now take a look at five ways to spot undervalued real estate markets and why these particular factors have such an impact. This is an element of the real estate market which is often overlooked, the fact that short-term excessive supply can depress prices and depress demand. However, many of these excess supply issues will only be temporary and if a particular market, or submarket, has fallen behind its peers on a temporary basis then there is the potential for a “catch-up” period. There are a number of ways in which excessive supply can disappear including a local economic recovery, reduced supply going forward and perhaps a neighbouring property market has too little stock available? If we’re looking at specific localised real estate markets there is the potential for relatively small corporate developments in the region to have a significant impact upon local property prices and demand. Indeed, one example would be the introduction and expansion of the Google headquarters in the USA which had a massive impact upon the local property market and continues to do so today. Even though this particular example may be uncommon it does perfectly illustrate how corporate developments in the region can impact local markets. We touched on this above, the fact that very often local markets close by to relatively buoyant real estate markets can benefit from the overflow of demand. Real estate markets are relatively easy to predict in theory, a particular area or market becomes popular and then very quickly this nucleus can expand and bring in new submarkets. This is the type of situation which occurs on a regular basis in London, and other major real estate markets, and can have a significant impact upon demand and prices. The UK government has plans to create a high-speed rail link connecting many major cities and towns of the UK. While these plans have changed and been amended a regular basis they will eventually be confirmed and this could offer the potential to create relatively buoyant local property markets. Travel links are in many cases the catalyst for a significant increase in demand with many people now more than happy to commute to inner-city work places while living away from the hustle and bustle of city centres. If we look back 20 or 30 years ago the idea of investing in student accommodation was probably alien to many people. This was seen as relatively low quality and unpredictable accommodation which is something that the professional real estate investment arena tends to avoid. 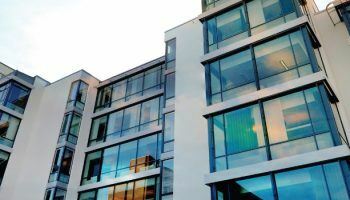 However, the situation has changed dramatically over the last few years with relatively high quality student accommodation now appearing in and around an array of University cities in the UK. A university city tends to attract both students and professionals from all walks of life and can have a significant impact upon local property prices and demand. If you are aware of a University which continues to grow in size, stature and reputation then there is every chance this will be reflected in the future local real estate market. Why do property market trends change so quickly? Is there a viable European alternative to London property after Brexit? Are there any international investors who dislike London property?